Yelp, the influential website for rating, denies that it tampers with reviews, but a federal court ruled the site can if it is so inclined, saying it would not be extortion. The San Francisco Court of Appeals decision came in response to a suit filed by businesses that alleged Yelp had manipulated ratings as a way to extort companies into advertising. One of the three judges in the panel wrote in the ruling that business owners might deem order of or posting of users reviews as being a threat or harm economically, but Yelp is not acting unlawfully by posting and sequencing the reviews. The three-judge panel upheld the decision of a lower court in their ruling. Yelp for a long time has been dogged by the accusations that its practice is to strong-arm businesses to advertise. The lawsuit was dismissed previously be a lower court. It had alleged that Yelp would eliminate the positive reviews or would write its own negative reviews as a way to pressure companies into paying to advertise with them. The plaintiffs attorney said that Yelp wants us to believe its reviews are accurate and honest, yet the real truth is the almighty dollar from advertising reflects who maintains the good reviews as well as who has them taken away. The attorney added that small businesses could lose over the long run because of the ruling. Yelp applauded the latest ruling and struck back verbally at accusations. 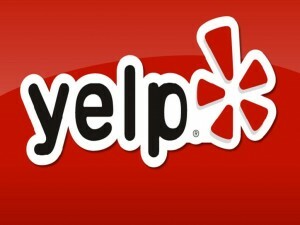 The company said that for years commentators have been accusing Yelp of altering ratings of businesses for money. However, Yelp has never done that and the individuals making the claims are misinformed or more likely have some form of axe to grind. One plaintiff, John Mecurio said Yelp has removed 14 of his ratings that were five-star for his Santa Clara, California auto repair location after he had declined to purchases advertising at a rate of $500 per month. He said that not only did the great reviews disappear, but also a new review of just 1 star appeared at the top of the listing of Yelp. He said he has had sales drop by 30% since then.